I am writing Wednesday’s blog on Thursday, as we had such a busy day visiting Bulomoling and Impevi camps! We set off for Bulomoling Camp, driving two hours along a rough track, to reach the first of our four agriculture groups. 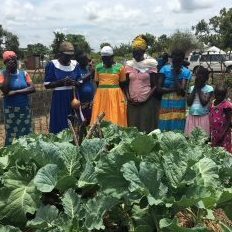 The women proudly showed us an area of land which had been fenced off and was producing some excellent looking cabbages, egg-plant, tomatoes and beans. The next three hours were spent travelling to visit three other farm groups in Imvepi Camp. Imvepi camp is home to 125,000 refugees and consists of many small tukals covered in UN plastic sheeting or tatty grasses. The land is stony and poor in some areas and more fertile in others. The people there are beginning to build brick homes, which signifies that they are expecting to be exiles for some time. 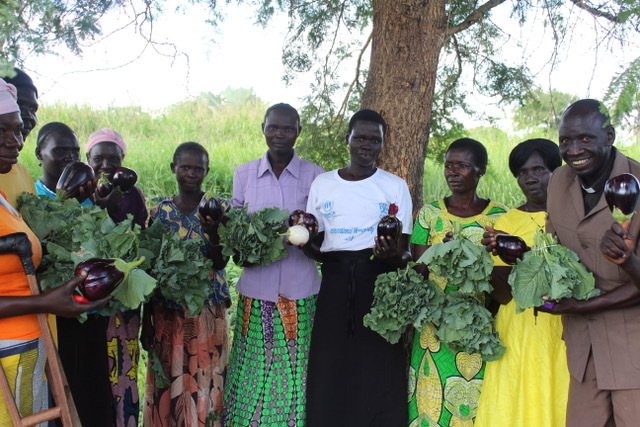 In all the farm groups, the women were growing their second crop and they had managed to save some money as a group. They can use money raised to develop small businesses. 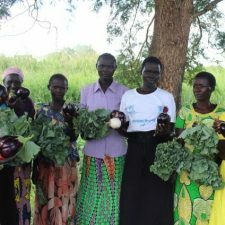 They had managed to sell some vegetables in the market, as well as feed their families more healthily than they would have been able to with food provided by the UN. They were all delighted. 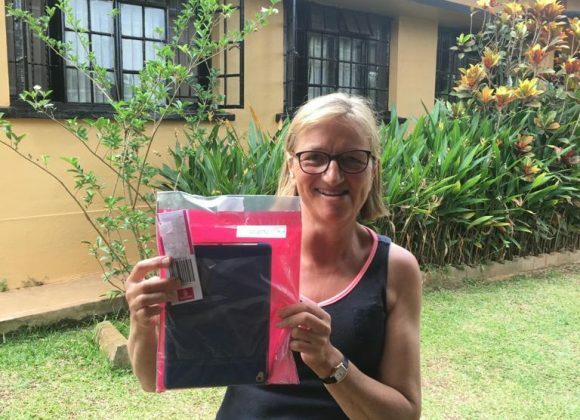 We also experienced a first – we ate a picnic meal on the go – in all my years of coming to visit the South Sudanese we have never had a “snack” or meal on the move! Arriving back late at the hotel, we were hot and dirty but moved by all we had seen and pleased to be doing something to help the 1.4 million South Sudanese refugees largely forgotten by the world. It is wonderful to be able to share our blog and the outcomes of the CRESS funds you donate. Please feel free to share our blog with your friends and family.